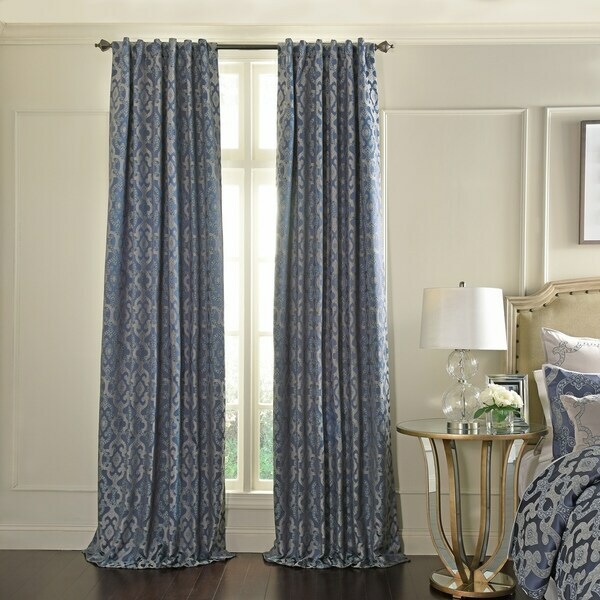 Bring elegant tranquility into your home with the Beautyrest Normandy Blackout Window Curtain Drapery. These gorgeous curtains combine versatile fabrications and a blackout lining to create the ultimate sleeping environment. This updated take on a classic pattern features a multi colored jacquard trellis on a rich ground. Panel offers back tab and rod pocket hanging options. Tabs and pocket measure 3 inches and are recommended with up to a 1.5 inch rod for maximum styling. Panels measure 52 inches wide with extended lengths of 63, 84, 95 and 108 inches. Sold as a single, lined panel. 100% polyester. Easy care, machine washable. Dimensions 52.0 In. X 63.0 In. "Is this the price for one curtain or two? "